It does not have to be forcedly a review on a new release, we don't want that. What Audio-activity wants to do is highlight for reader what's worth listening in our times so full of music that many times lacks in meaning. This CD can be found on line and bought with a simple click. You can find it in Amazon.it and if you enter the site through the banner of our blog it's better, we'll receive commissions - that'll help us survive- and the price for you will remain the same. Well, after this small advertisment let's talk about this CD. 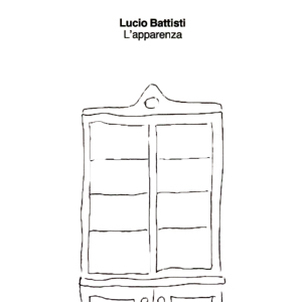 The author is one of the biggest Italian songwriter of the last century, Lucio Battisti. Songs belong to the last period of the composer, the least known and complex but somehow revolutionary from the music point of view. His partnership with the lyric-writer Mogol had come to an end and he started to cooperate with Pasquale Panella, a poet. The composing technique is very interesting; music is composed starting from lyrics subverting the usual order. 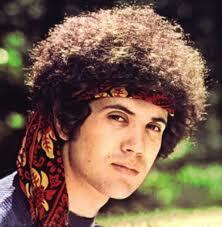 Lucio Battisti's typical song is put aside, now the rhythm is close to techno music but with a very high standard. Electronic music is used with knowledge and perfectly fuses with the orchestra. Lyrics are shrill and obscure but are catchy. The album was released 25 years ago but the melody is still very modern. We could say that this work has a higher quality than many albums released since then. The recording technique is very good and is way beyond the average. The basses have a wide range so that the low-pitched electrical sound have the desired effect. Battisti's voice is beautiful though filtered. This is a CD that one must have. If you have it already re-listen to it. When it's been released it was too modern and not everyone understood it. It's about time now to enjoy it as it deserves.